Within the past year, Broadcom grabbed more headlines with the company’s wearables success and initial work on L1/L5 dual-frequency receivers, the report said. However, the report says Qualcomm continues to lead in total GNSS shipments, as well as such innovative new technologies as LED/visible light communication and [long-term evolution] LTE Direct. Qualcomm’s partnership with Baidu on its IZat platform is also notable and represents the beginning of the era of "always on, ubiquitous location technologies," the report said. The report lists MediaTek and u-blox in the third and fourth top market positions, respectively. "MediaTek and u-blox once again swapped places," says Patrick Connolly, ABI Research principal analyst. "U-blox had another stellar year financially and, along with Skytraq, led the way on low-cost precision GNSS with its NEO-M8P module. MediaTek, which showed significant success in wearables and smartphones, transitioned back to third place primarily due to growing market share." The report says that CEC Huada and Samsung, both showing market innovation over the past year, are poised to instill great change in the marketplace. "CEC Huada developed single-frequency real-time kinematic (RTK) GPS, as well as [BeiDou Navigation Satellite System] receivers and INS/MEMS receivers, which the company released to select customers in 2016," Connolly said. "And it is now developing a dual-frequency BDS receiver and a receiver for [India Regional Navigation Satellite System]. Samsung, meanwhile, launched its first embedded GNSS solution, the Exynos CPU chipset. Given its presence across so many GPS-enabled consumer electronic devices, the company looks set to be a major disruptor in the coming years." ABI said its report includes researched innovation and implementation parameters to determine the companies best positioned for success–and the companies that are in danger of losing out. In addition, the report features emerging competitive threats and technologies, ABI said. 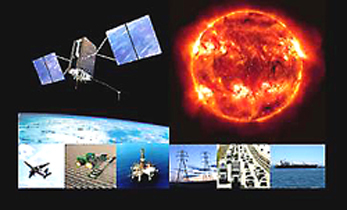 This year, the GPS/GNSS IC market evolved into such new markets as automotive, wearables, and the internet of things (IoT), with huge potential to grow into sizeable GNSS and ubiquitous-location markets where a specific, optimized IC design will be a major plus, according to the report. "Precision GNSS techniques also came to the forefront as companies explore opportunities around vehicle-to-vehicle (V2V), advanced driver assistance (ADAS), and driverless cars. This is now the most significant design trend in the industry, with consumer GNSS IC vendors facing stiff competition for precision GNSS incumbents like Trimble and Novatel, as well as a number of new interesting start-ups," the report said. "Finally, new entrants like Intel and CEC Huada continue to expand their offering, while Samsung’s entry could significantly change the market share dynamic." Companies featured in the study include Broadcom, CEC Huada, Galileo Satellite Navigation, Intel, MediaTek, Qualcomm, Samsung, SkyTraq Technology, STMicroelectronics, and u-blox.